On 22 June 1977, after 23 years of negotiation, the Methodist Church and most Presbyterian and Congregational Churches in Australia officially joined together to form the Uniting Church of Australia. This, the new body said, was an outward expression of unity of belief, mission and purpose. The symbol of the Uniting Church represents the cross over a darkened world, with the Holy Spirit as a dove with wings of flame. Underneath is the letter 'U' for the Uniting Church, which is also an incomplete semi-circle symbolising the hope for greater unity amongst Christian churches. 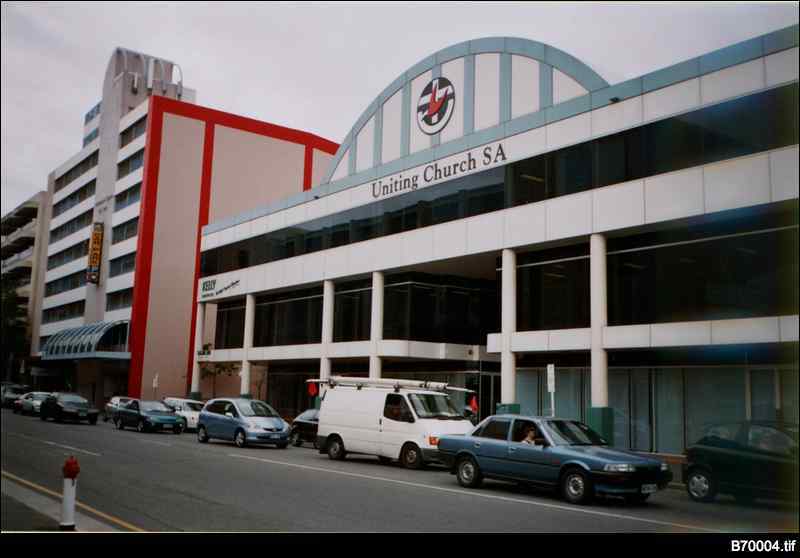 The office of the South Australian Synod of the Uniting Church is in Pirie Street.